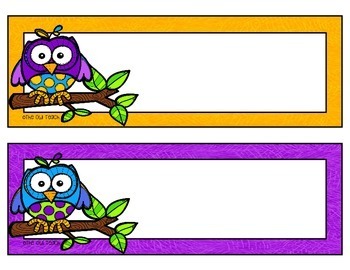 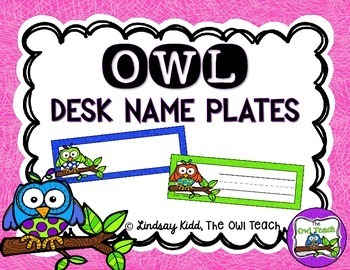 These Owls Desk Name Plates are perfect for your Owl themed classroom! 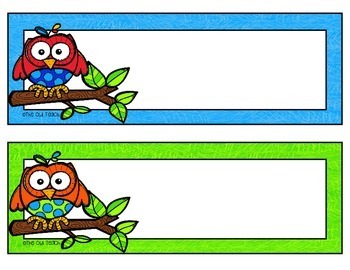 There are 14 different Owls desk plates used and each name plate comes with lines and with blank white space! 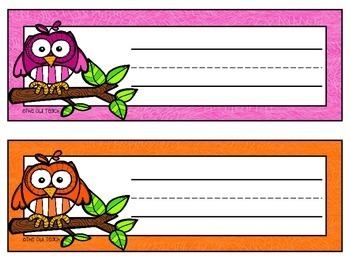 Perfect for you to personalize for your students' desks or even for large supply bins!